One of the reasons we find the world of technology so addictive is that it's in an almost perpetual state of change. Products come and go quickly and there is always something bigger and shinier on the horizon. This can often mean that companies are forced to discount current products to encourage people to buy now rather than waiting for the future shiny. This is certainly the case right now in the CPU market. Intel's new Sandy Bridge chips are on the horizon and their imminent arrival is forcing the company to rapidly reshuffle its product line-up. The last few months have seen the Core i7-920 finally disappear from the shelves and Intel announce that its replacement, the Core i7-930, will soon follow it. We've also seen the Core i7-950 dramatically halve in price, bringing it to within just £17 of the soon to be gone i7-930. 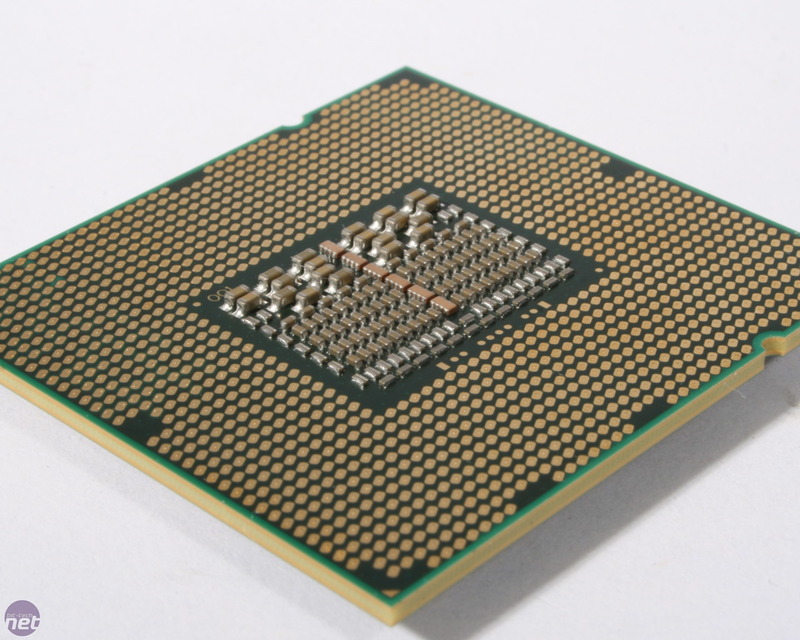 This is a strong indication as to where Sandy Bridge CPUs will sit in the performance line-up. At its new price, the i7-950 looks like a bargain. It's based on the same quad-core Bloomfield design as the i7-930 and packs the same 8MB pool of Level 3 cache. It's also produced on the same super-overclockable 45nm production process as the i7-930 and has the same D0 core stepping. The ace up its sleeve, though, is its 23x CPU multiplier, which gives it an advantage in terms of raw clock speed; the i7-950 has a rated speed of 3.06GHz compared to the 2.8GHz of the i7-930. The i7-950 uses the same Turbo Boost technology as the rest of the LGA1366 range which means the CPU has the ability to dynamically increase its speed when it's not drawing its maximum TDP. Intel claims the i7-950 has the ability to boost up to 3.33GHz. 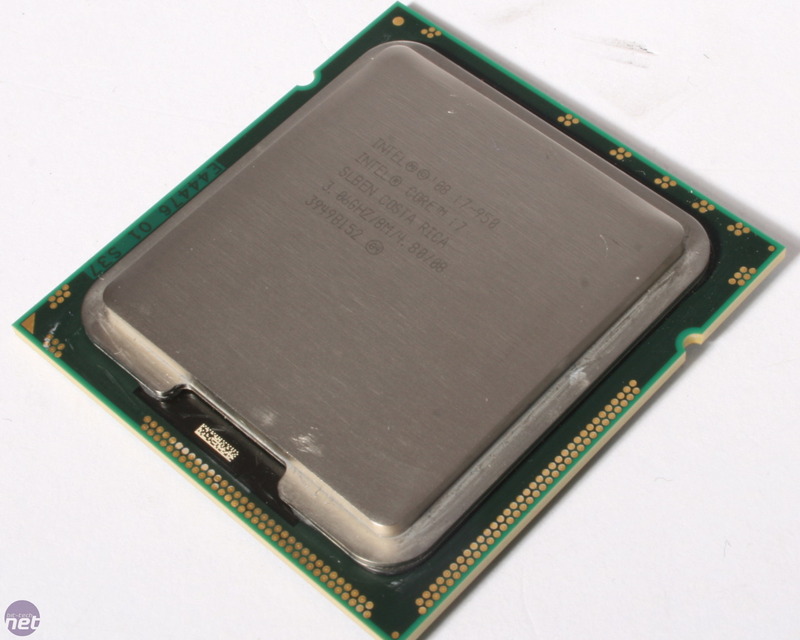 In practice though, the CPU boosted its speed to 3.2GHz regardless of how many cores were loaded. We get twitchy if we spend an entire afternoon at stock voltages so we dutifully dipped into the BIOS to move some numbers around. We were hoping for good things too as Bloomfield-based chips have typically been excellent overclockers. Things didn't go entirely smoothly. We started by first ramping up the QPI to 200MHz and applying a CPU multiplier of 20x giving an overall CPU speed of 4GHz. The chip managed this easily so we set our sights on achieving the same 4.3GHz that we know our test i7-930 chip is capable of. We tried the i7-950 at the same 205MHz QPI and 21x CPU multiplier we used when we reviewed the i7-930 but it would crash after only a few second of running Prime95 - hardly the reliable overclock we like to see. After a little negotiation we managed our 4.3GHz overclock, but at a less than optimal 187MHz QPI and 23x CPU multiplier. This arrangement meant our DDR3 memory only ran at 1,499MHz as opposed to the 1,600MHz it was capable of. We also needed to up the voltages significantly to achieve this overclock and the 1.468V vcore we settled on meant the i7-950 ran pretty toasty during testing. We also raised the CPU PLL to 1.94V, the QPI/DRAM voltage to 1.306V, the IOH to 1.22V and the ICH voltage to 1.3V.